Arabdemocracy: Do Not Mention the Civil War! 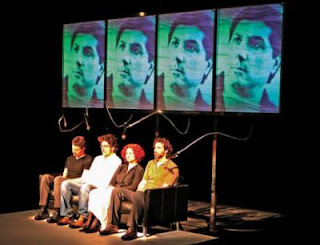 In another effort to discourage artistic initiatives, the Lebanese censors have decided to ban a new play by acclaimed director Rabih Mroueh under the argument that it might remind the public of the ugly days of the civil war and revive sectarian tensions. This, in a country where political and religious leaders regularly use the media to keep these sectarian tensions alive while threatening us with the civil war to come. Whatever the artistic and moral value of Mroueh's play, the Lebanese deserve the right to be treated like a mature public capable of dealing with strong emotions and distinguishing between reality and fiction.